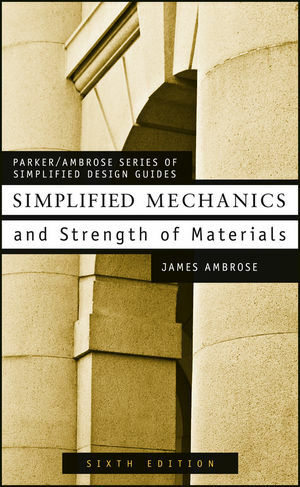 This book 'Simplified Mechanics and Strength of Materials' by James E.Ambrose was first published by john Wiley and Sons. James Ambrose, a Formerly Professor of Architecture University of Southern California Los Angeles, California. The fundamental materials presented here derive from two general areas of study. First is applied mechanics, and most principally, applications of the field of statics. This study deals primarily with the nature of forces and their effects when applied to objects. 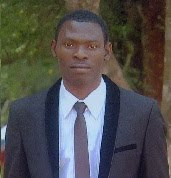 While the second area of study is that of strength of materials, which deals generally with the behavior of particular forms of objects, of specific structural materials, when subjected to actions of forces. Simplified Mechanics and Strength of Materials by James E Ambrose may function as a self-study reference. The book is more practical application, however, is as a text for a course in which case readers will have the advantage of guidance, prodding, and counsel from a teacher. Although the work here is mostly quite theoretical in nature, some use of data and criteria derived from sources of real materials and products is necessary. Preface to the Sixth Edition. 1. Structures: Purpose and Function. 1.2 Special Considerations for Loads. 1.6 Functional Requirements of Structures. 1.7 Types of Internal Force. 1.10 Design for Structural Response. 2. Forces and Force Actions. 2.7 Force Components and Combinations. 2.8 Graphical Analysis of Forces. 2.9 Investigation of Force Actions. 2.12 Forces on a Beam. 3.1 Graphical Analysis of Trusses. 3.2 Algebraic Analysis of Trusses. 3.3 The Method of Sections. 4.4 Bending Moments in Beams. 4.5 Sense of Bending in Beams. 4.11 Tabulated Values for Beam Behavior. 5. Continuous and Restrained Beams. 5.1 Bending Moments for Continuous Beams. 5.3 Beams with Internal Pins. 5.4 Approximate Analysis of Continuous Beams. 6.2 Stability of Retaining Walls. 9.3 Transferring Moments of Inertia. 9.5 Tables of Properties of Sections. 10.1 Mechanical Properties of Materials. 10.2 Design Use of Direct Stress. 10.3 Deformation and Stress: Relations and Issues. 10.4 Inelastic and Nonlinear Behavior. 11. Stress and Strain in Beams. 11.1 Development of Bending Resistance. 11.3 Computation of Safe Loads. 11.4 Design of Beams for Flexure. 11.5 Shear Stress in Beams. 11.6 Shear in Steel Beams. 11.10 Plastic Behavior in Steel Beams. 13. Combined Forces and Stresses. 13.1 Combined Action: Tension Plus Bending. 13.2 Combined Action: Compression Plus Bending. 13.3 Development of Shear Stress. 13.4 Stress on an Oblique Section. 13.5 Combined Direct and Shear Stresses. 14. Connections for Structural Steel. 14.2 Design of a Bolted Connection. 15.3 General Application of Strength Methods. 15.6 Shear in Concrete Beams. 15.7 Design for Shear in Concrete Beams. Answers to Selected Exercise Problems.